A CSS( Cascading Style Sheet) comprises of style rules that are interpreted by the browser and then applied to the corresponding elements in your document. 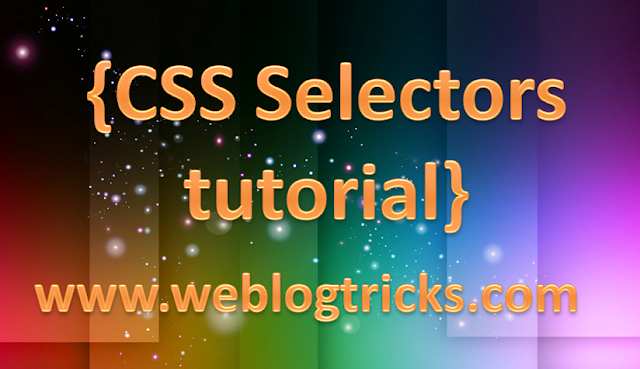 A selector is an HTML tag at which style will be applied. This could be any tag like <h1> or <table> etc. A property is a type of attribute of HTML tag. Put simply, all the HTML attributes are converted into CSS properties. They could be color or border etc. Values are assigned to properties. For example, the color property can have value either red or #F1F1F1 etc. You can define a table border as follows: you can read Tables in HTML. You can apply more than one class selectors to a given element. You can define style rules based on the id attribute of the elements. All the elements having that it will be formatted according to the defined rule. This rule renders the content in black for every element with id attribute set to black in our document. You can make it a bit more particular. In this example, all level 2 headings will be displayed in black color only when those headings will lie within tags having id attribute set to black. This rule will render all the paragraphs in black if they are a direct child of the <body> element. Other paragraphs put inside other elements like <div> or <td> etc. would not have any effect of this rule. You can apply a style to many selectors if you like. Just separate the selectors with a comma.